On the top of the World...: Orange Day@WIS, Udaipur. 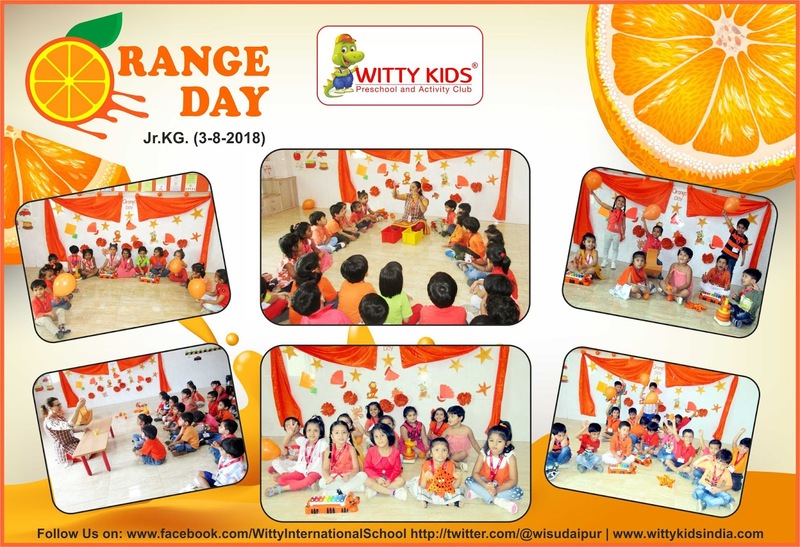 On 3/08/2018, Friday little Wittians of Jr.KG at Witty International School radiated warmth and happiness combining the physical energy and stimulation of red with the colour fullness of yellow. Children were told about the beauty of Orange colour. Orange is a dynamic colour that stimulates imagination and creativity. 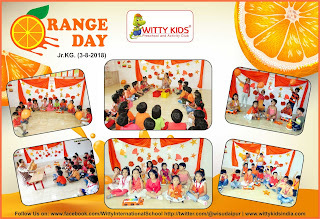 The class was adorned with orange colour object like balls, pictures etc. Children made orange colour through an experiment by mixing red and yellow colour. They also enjoyed doing sponge dabbing to make a beautiful flower with red and yellow colour in their scrap book. The children celebrated day with a sole objective to acquaint themselves with the concept of this secondary colour and objects related to it.